“Sur le Pont d’Avignon” is a song about the Pont d’Avignon that dates back to the 15th century. The bridge is the Pont St. Bénézet, but is better known as the Pont d’Avignon. The dance took place under the bridge and not on the bridge (“Sous le Pont d’Avignon”, not “Sur”) but the lyrics were obviously misheard at some point and from then the meaning was changed. 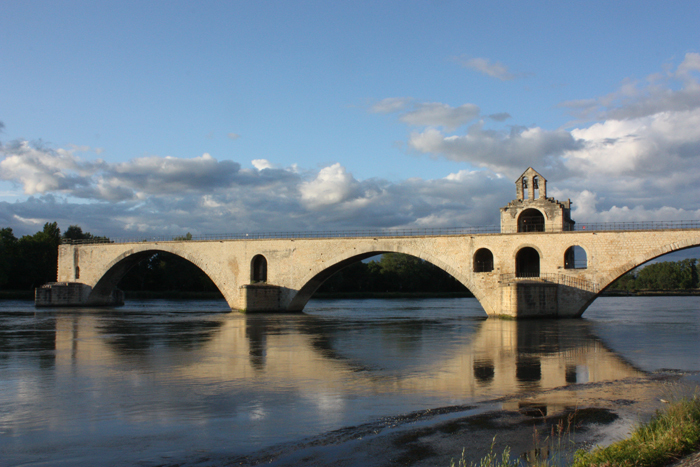 The original Pont St. Bénézet spanning the Rhône from Villeneuve-lès-Avignon to Avignon was built between 1177 and 1185. For some reason, this early bridge was destroyed during the Albigensian Crusade, even though Avignon was the place where Raymond VI of Toulouse was excommunicated (again!) this time for refusing to support the campaign of the Roman Catholic Church and the French King against the Cathar heresy in the Languedoc. After the crusade the bridge was rebuilt with 22 stone arches across both channels of the Rhone. These arches were continually damaged when the river flooded and in the mid-1600s the bridge was abandoned. The four arches seen today date from around 1345 and were built by Pope Clement VI during the Avignon Papacy. The western end of the original bridge, now called the Tour Philippe-le-Bel, is also preserved. Other than the bridge, the most famous building in Avignon is The Palace of the Popes. During the period 1309-1377 the Popes lived in and ran the Roman Catholic Church from Avignon instead of Rome. Philip IV of France was instrumental in securing the election of Clement V, a Frenchman, to the papacy in 1305. This was an unpopular decision in Rome and in the next few years Clement’s life as Pope became more stressful. To escape the oppressive atmosphere, Clement chose to move the papal capital to Avignon, then in the Kingdom of Arles and part of the Holy Roman Empire. The majority of the men that Clement V appointed as cardinals were French; and since the cardinals elected the Pope, this meant that future popes were likely to be French too. All seven of the Avignonese Popes and 111 of the 134 cardinals elected during the Avignon papacy were French. Although these Popes were able to maintain a measure of independence, the French kings did exert influence. Both Catherine of Siena and St. Bridget of Sweden are credited with persuading Pope Gregory XI to return the Holy See to Rome on Jan. 17, 1377. 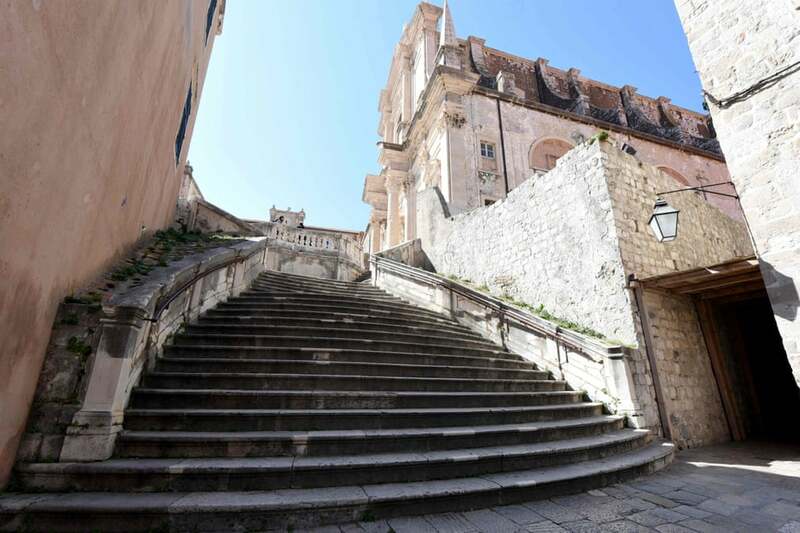 Gregory’s stay in Rome was plagued with hostilities, and he seriously considered returning to Avignon. Before he could make any move, he died in March, 1378. The Avignon Papacy had officially ended. However, cardinals of the Sacred College selected a second Pope, who assumed the vacant Avignon seat. This marked the onset of the Great Schism. A succession of such “antipopes” were selected and the Great Schism was not healed until 1417. Avignon remained part of the Papal States until the French Revolution, at which time the city became part of France.